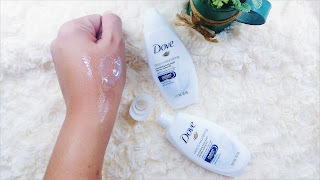 I don't have an idea that Dove comes in a different packaging and different sizes of Dove White Beauty Bar and Deeply Nourishing Body Wash, which really economic and reliable as well good for traveling size. Today's review, new sampling products from SampleRoom. I'll be sharing my thoughts and experience about these cuties products. Before I start with my review, I got these products from SampleRoom Ph, Where you can get a FREE sample or Full-size products upon registration. All you have to do is read the guidelines. Grab yours now and Happy Sampling. Dove Say's With its patented triple active system that significantly improves skin moisture levels, Dove Triple Moisturising Body Wash leaves skin hydrated all day long. The soap-free formula creates a rich and creamy lather and contains three moisturizers. For best results use with a cleansing puff daily. I found out that using body wash on a daily basis can cleanse your body and it absorb completely to nourish your body deep down. The Dove Deeply Nourishing performance is really amazing, and it has youthful effects as it promotes itself. The Consistency and texture are really velvety, creamy and it smells really lovely. I usually have the dry skin after a long day's and I always used this before I slept after my night shift schedule too, it does a great job of cleansing my body skin and get rids of dirty. This body wash gives me a smooth and moisture skin result as well as a feeling of having a baby skin. 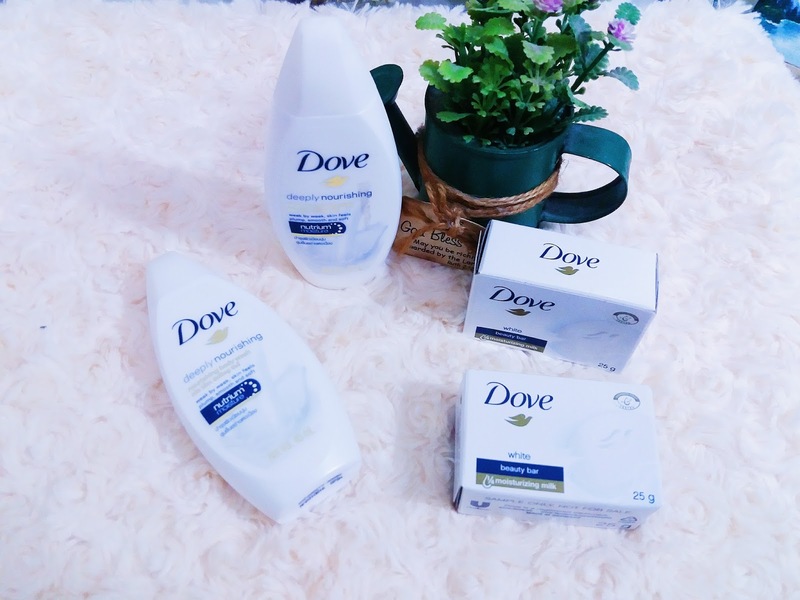 The size is perfect for traveling, you can grab it anytime bring to your work place like what I usually did, I used the Dove Deeply Nourishing Body Wash whenever I felt my skin dehydrated. The only reason that I don't like in this body wash is the scent. Overall experience, I would love to include this body wash to my skincare routine, usually after the night shift schedule. It improves my dry skin to moisture very well with a regular use. Dove Say's This gentle cleansing formula contains 1/4 moisturizing cream to give you softer, smoother, more radiant looking vs. ordinary soap. It has mild cleansers that help your skin to retain its natural moisture to replenish nutrients that are lost during the cleansing process. As I mentioned above, I have a dry skin and always prone to pimples, I have tried different soap before and this soap was the best for moisturizing the skin. 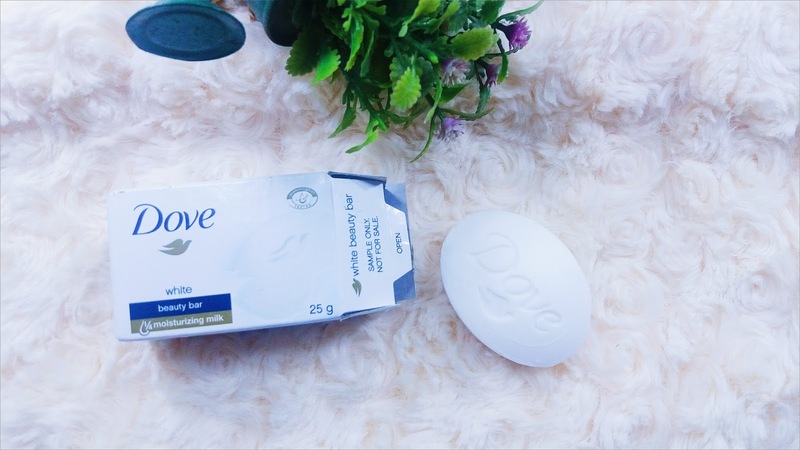 Dove has a different consistency It's creamy and I love the scent that will last the whole day if you're not going outside. You don't need to apply more and rinse it immediately because the bar melts easily and the best hydrating soap I ever tried. Overall, these products are my combo attack for hydrating skin. Have you ever tried out these products? Do you like it? Feel free to share your experience in the comment section.